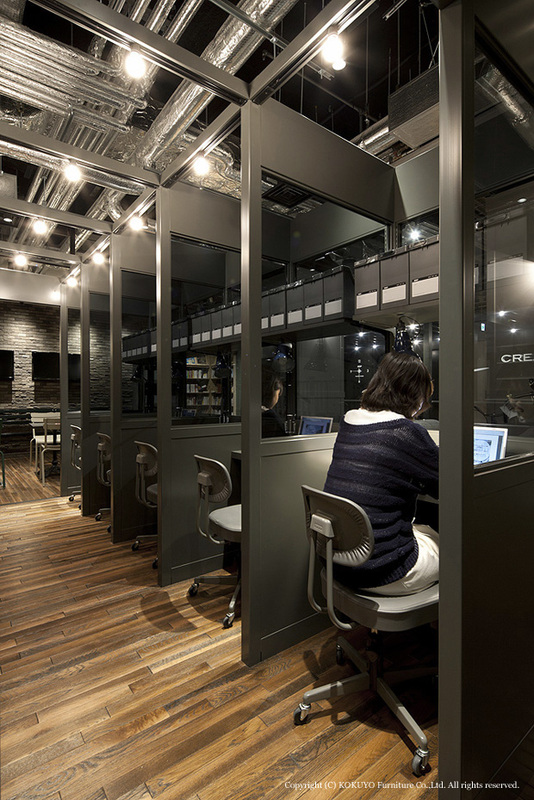 The new destination building "Hikarie" opened in Tokyo's Shibuya area April 2012. 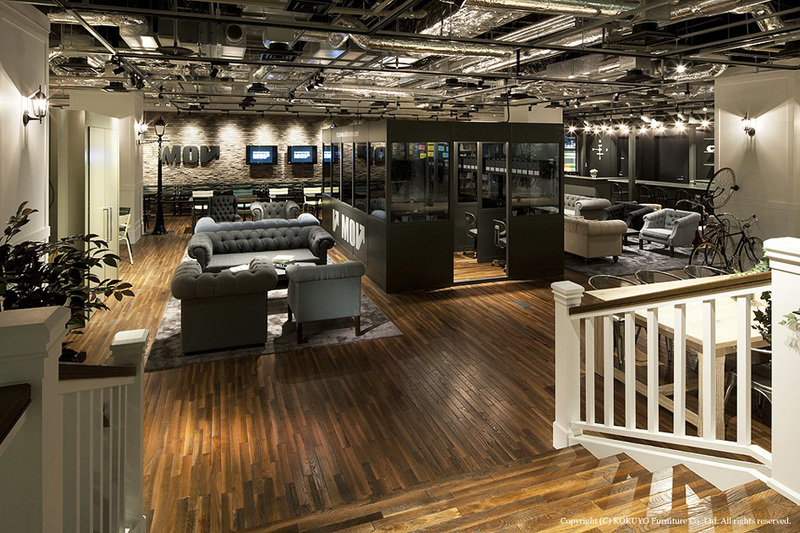 Jamo was asked to design the central lounge for a members-only workspace for creative types called "8/". 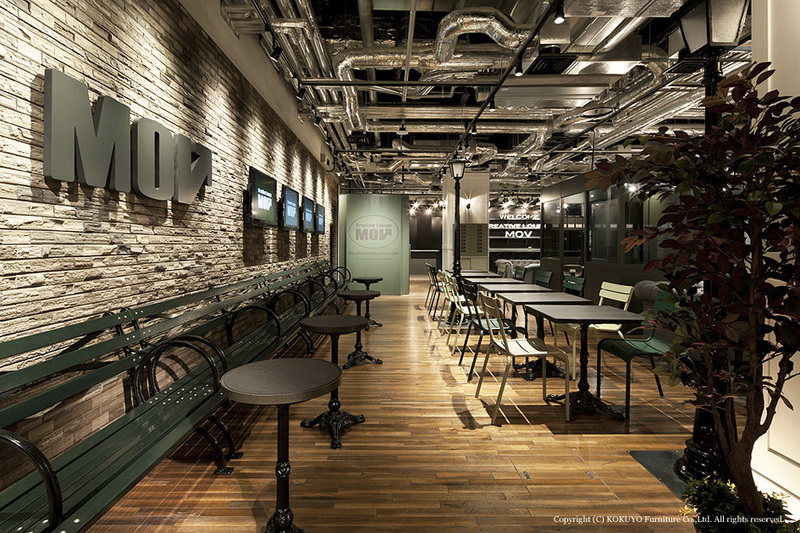 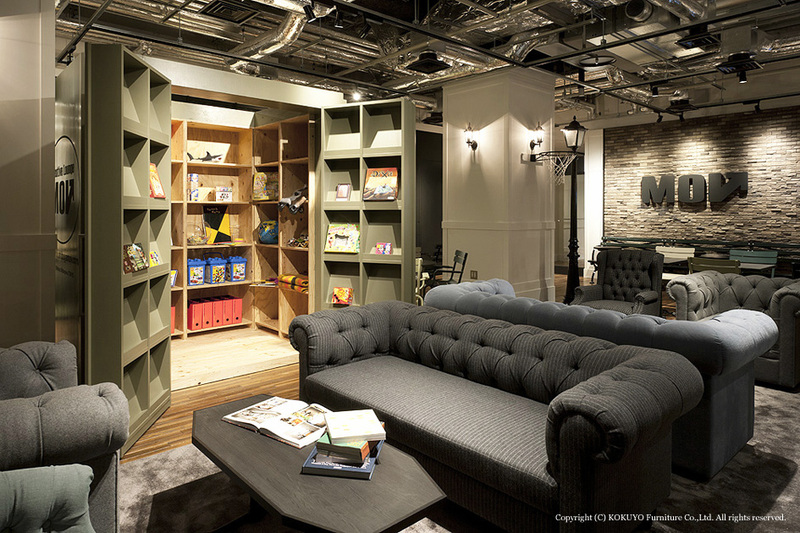 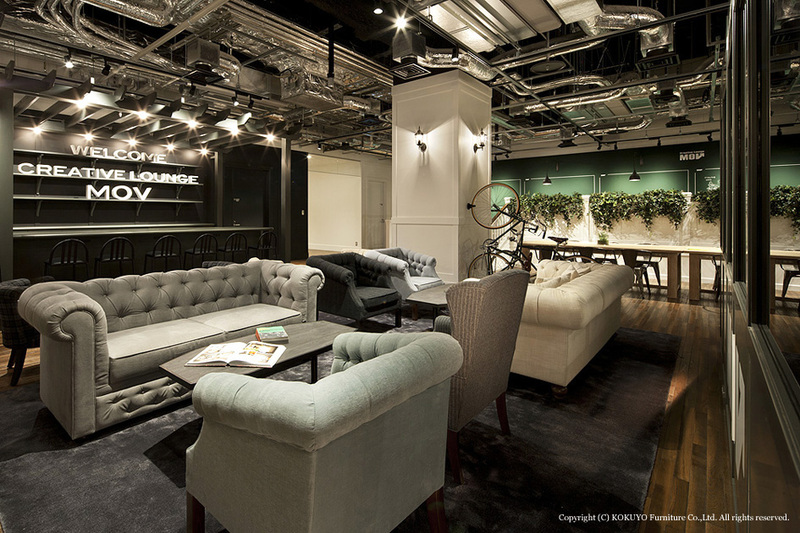 Located on the building's 8th floor and produced by the company Kokuyo Furniture, the lounge is designed around the idea of serving as a "town square". 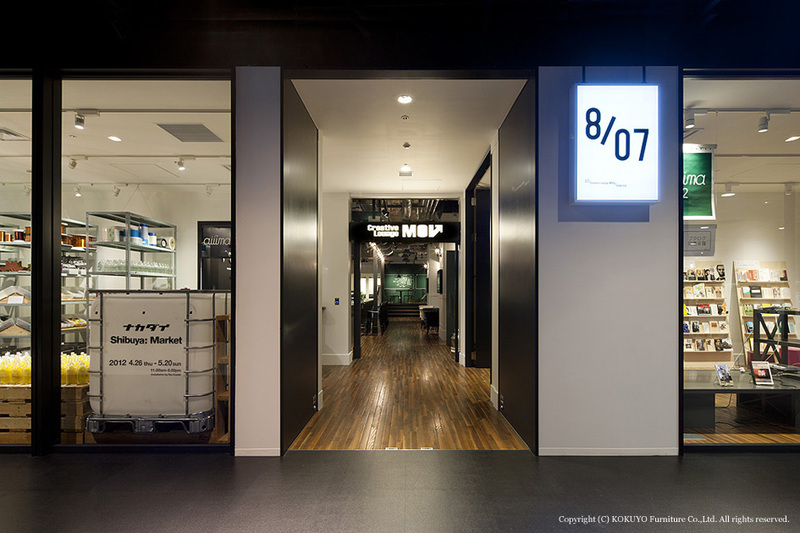 "8/" is intended to be new type of workspace that builds an organic community around it and puts into practice the idea of a Shibuya-style way of working. 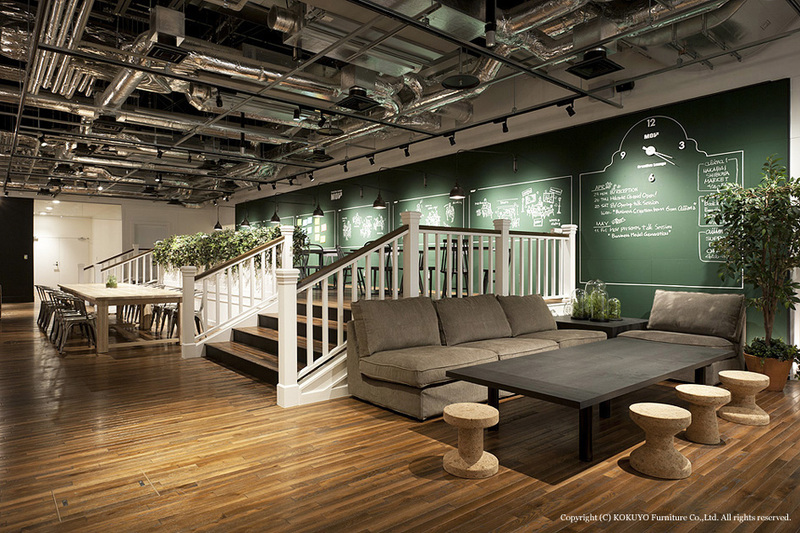 With this in mind, Jamo felt it was important to set the space up with a sense of openness and a relaxing atmosphere. 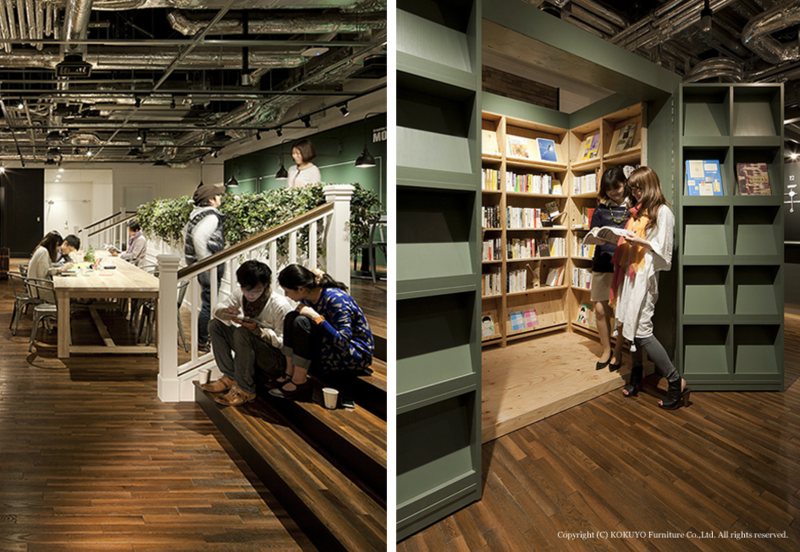 For example, elements from city parks are built into the space, such as seating that comes from the same kind of benches used in New York's Central Park, classically styled stairways, and cubicles built with the feel of a classic telephone booth. 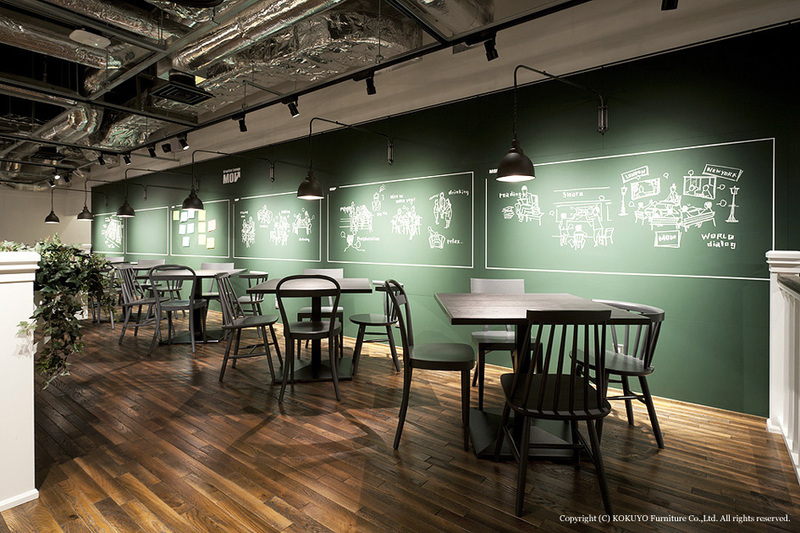 At the same time, Jamo creates various "scenes" where communication can spontaneously come to life and where a "town square" is recreated with high degree of flexibility and public openness.